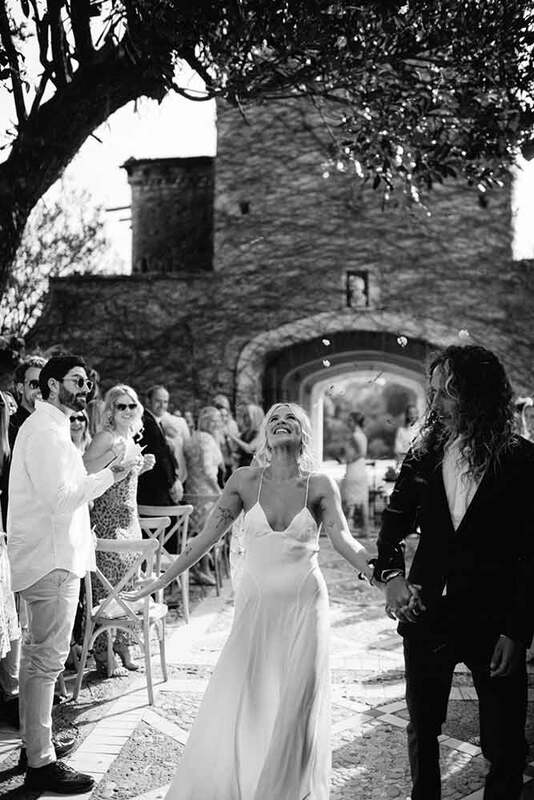 ..was like an Italian Love Affair in that it required little or no embellishment. 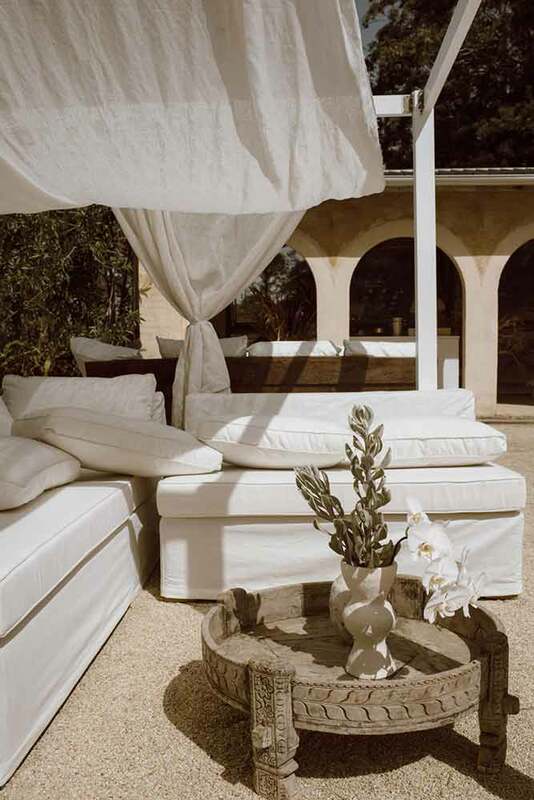 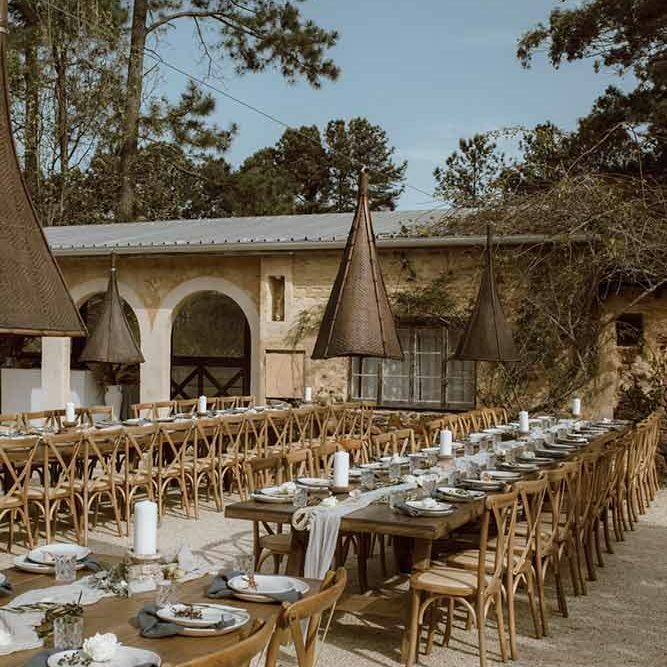 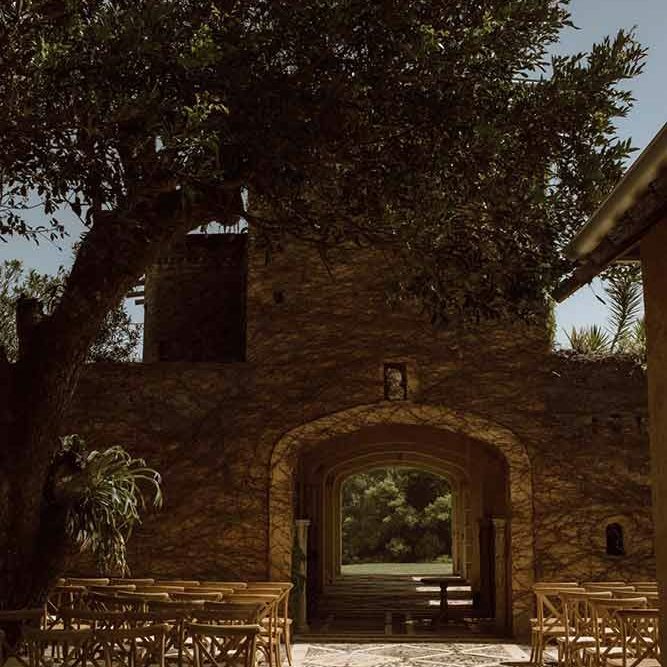 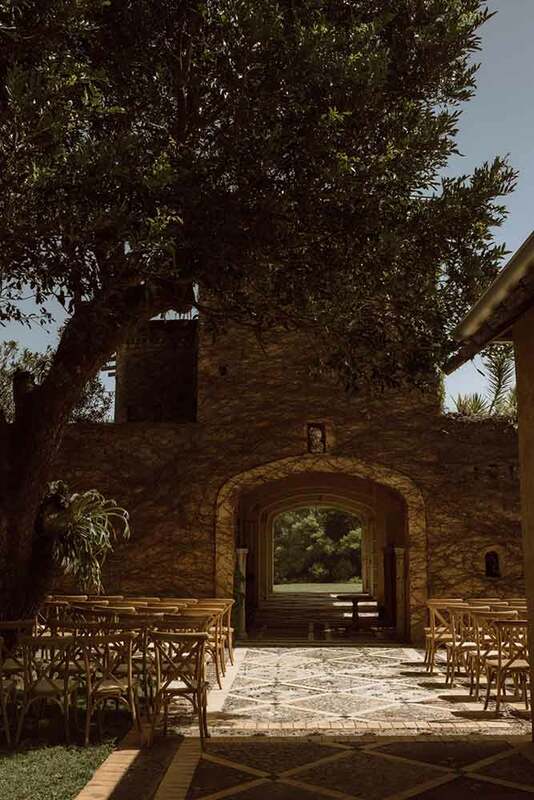 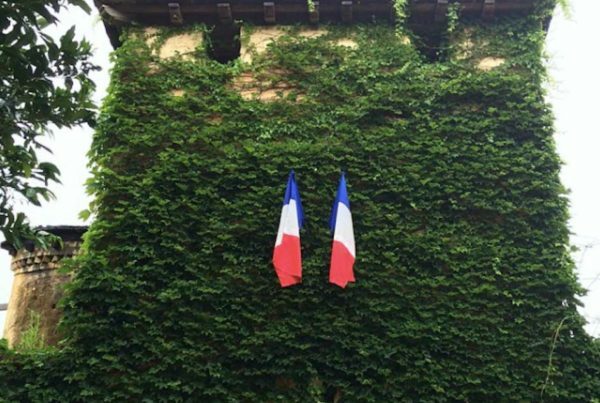 The Mediterranean architecture of Deux Belettes, its cobbled paving and frescoed walls, centuries old trees and overgrown lavender gardens provided an authentic backdrop for their alfresco gathering in the courtyard…renamed the “piazza” in honour of this passionate pair of lovers. 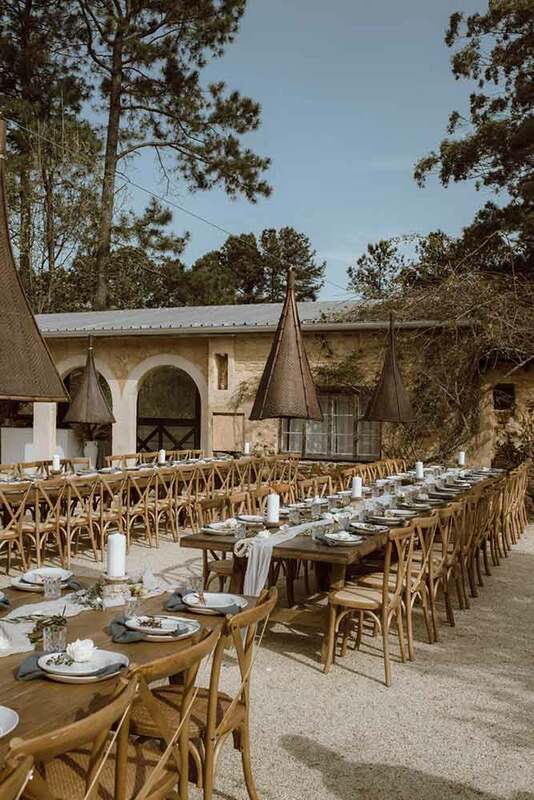 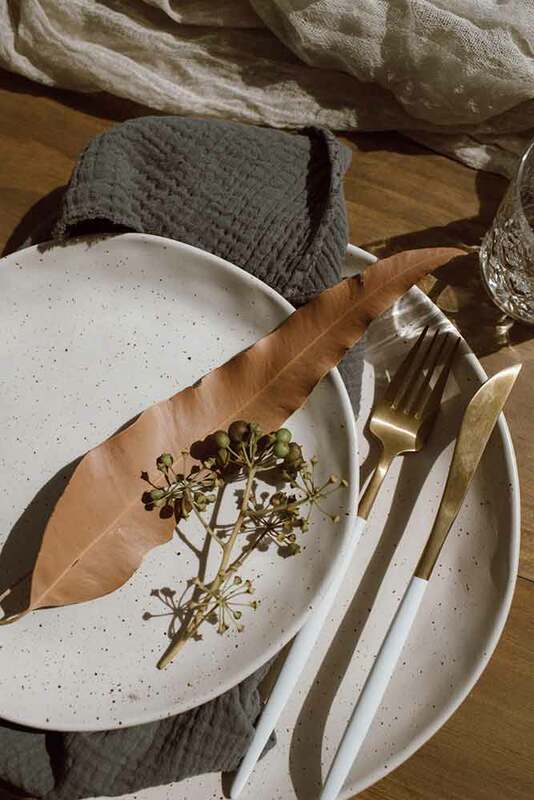 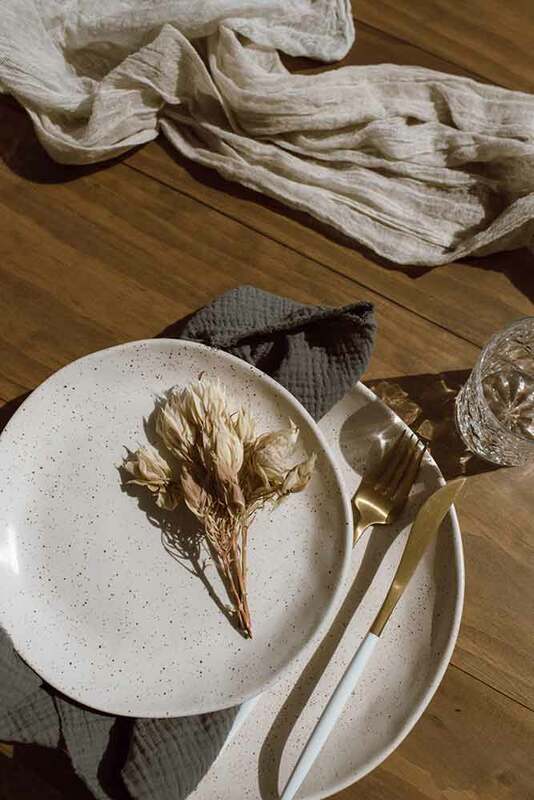 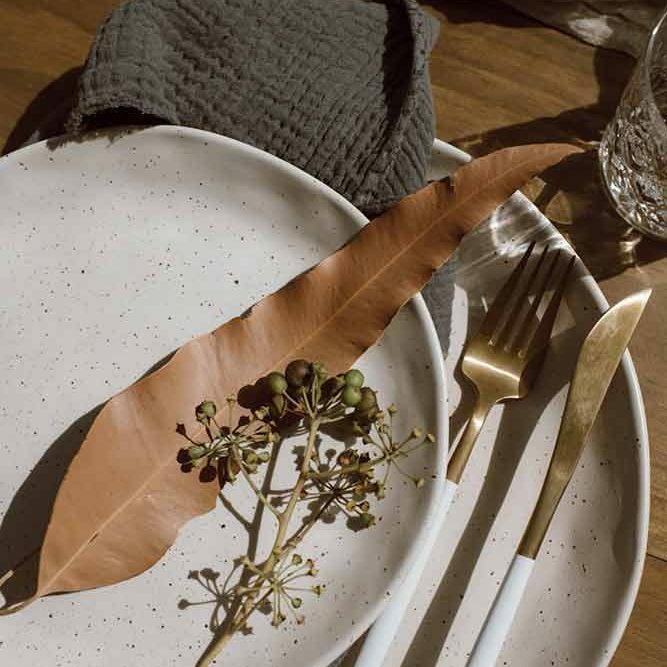 And while there is not much that has not already been written about this minimalist setting there are some elements which cannot escape mention. 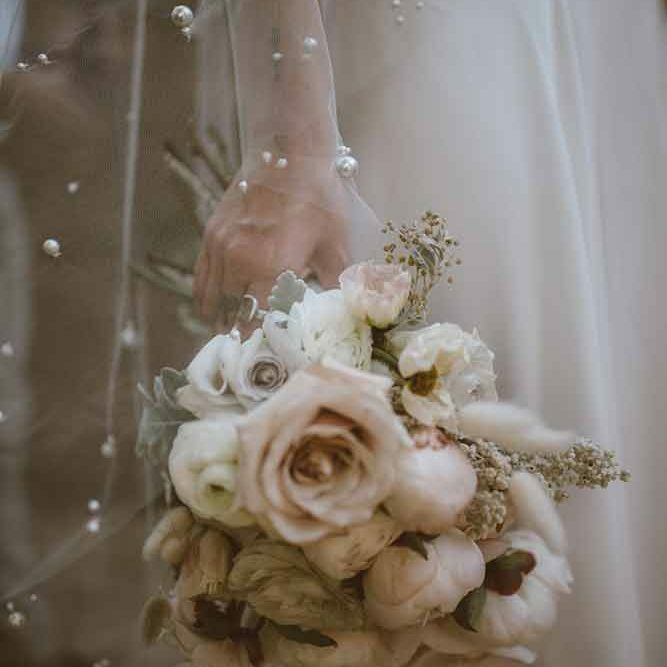 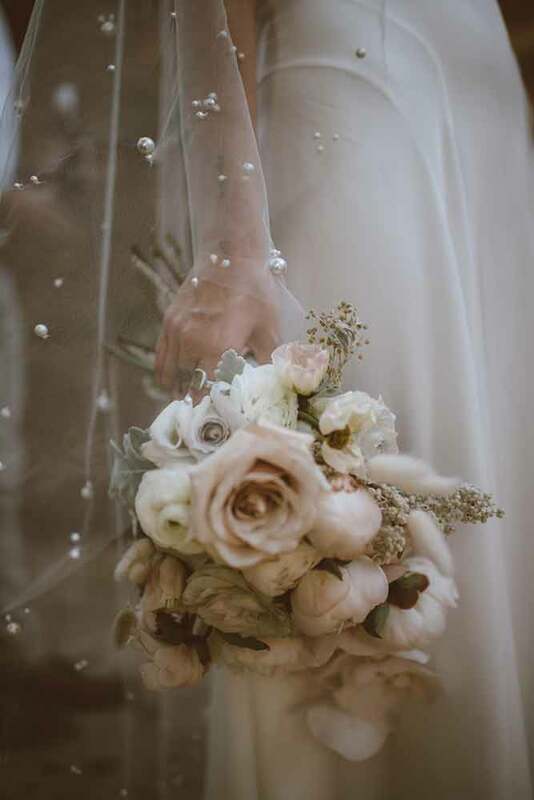 The bride, Emily, and her sensuous wedding gown, molten-gold jewels, iridescent pearls and shells were to elevate her gypsy style to pure Goddess status. 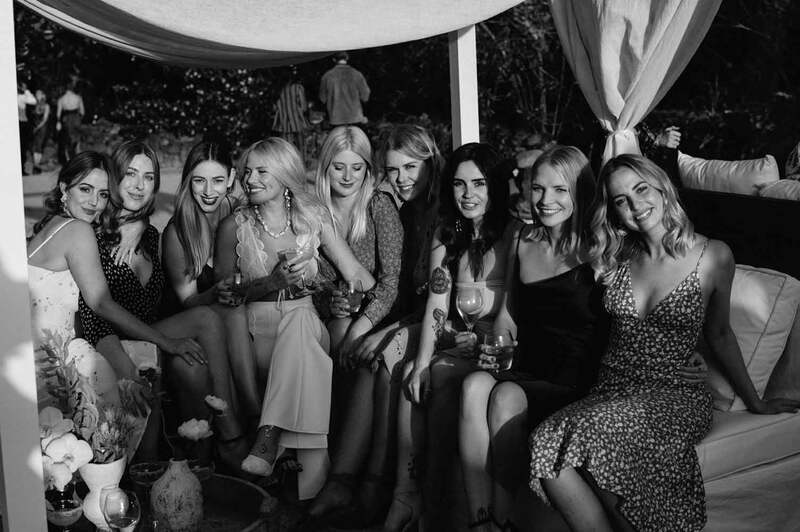 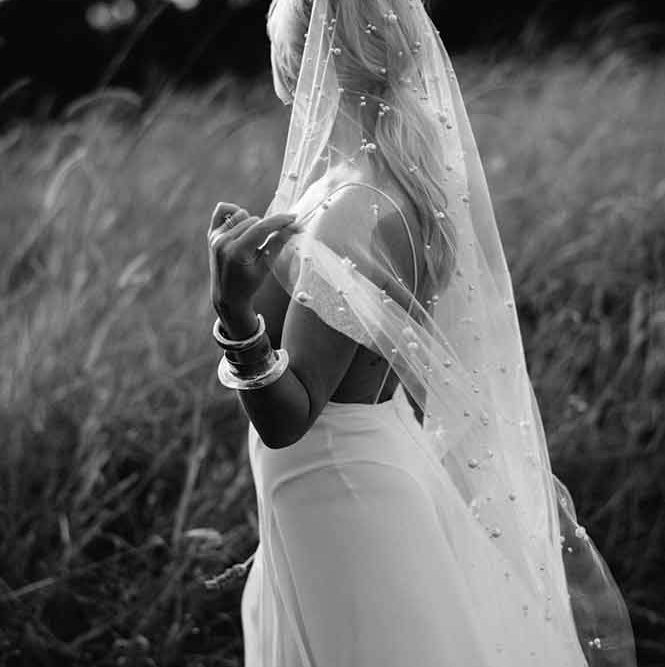 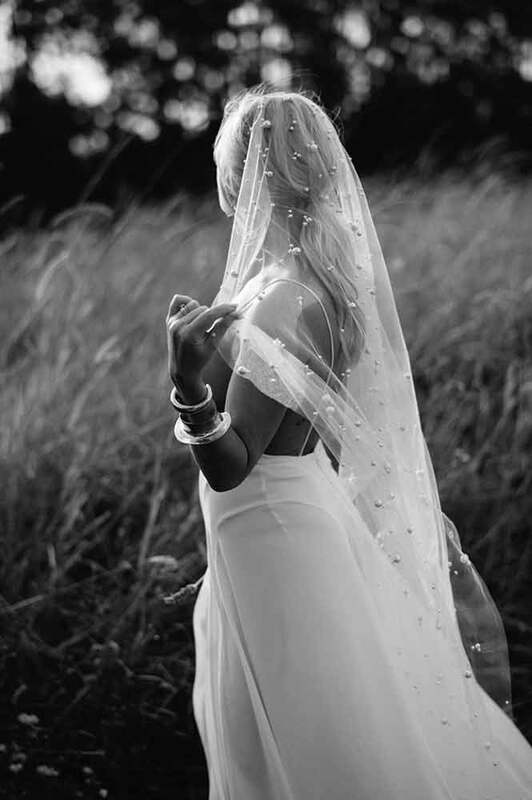 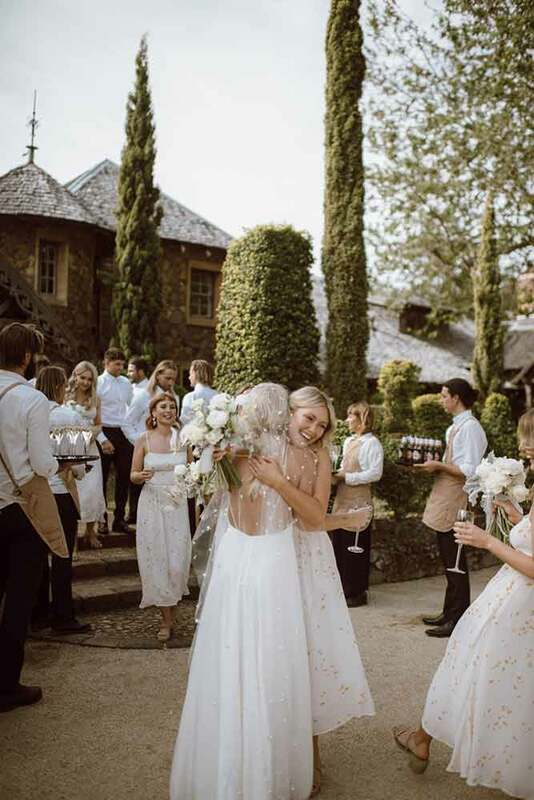 Her lovely bridesmaids (ladybirds) in their short floral summer dresses, fresh faces, loose long blond curls wandering barefoot thru the tall waving grasses were evocative of a Thomas Hardy novel. 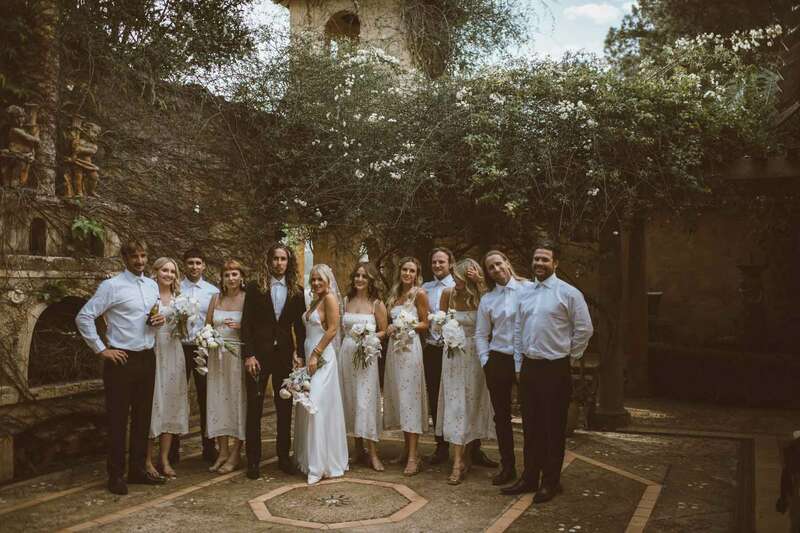 And Will, dapper in his black dinner suit and long tousled hair, brought a regal elegance to the whole boho affair. 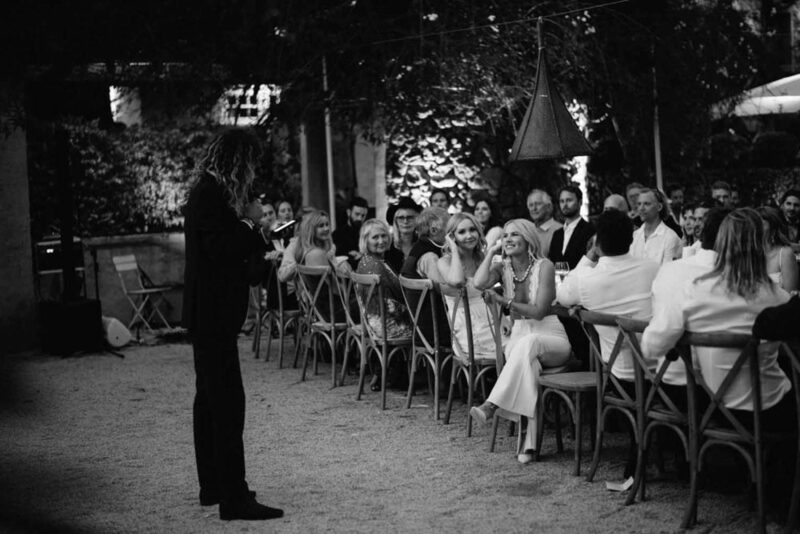 Emily and Will’s love of Italy was recreated for their wedding at Deux Belettes. 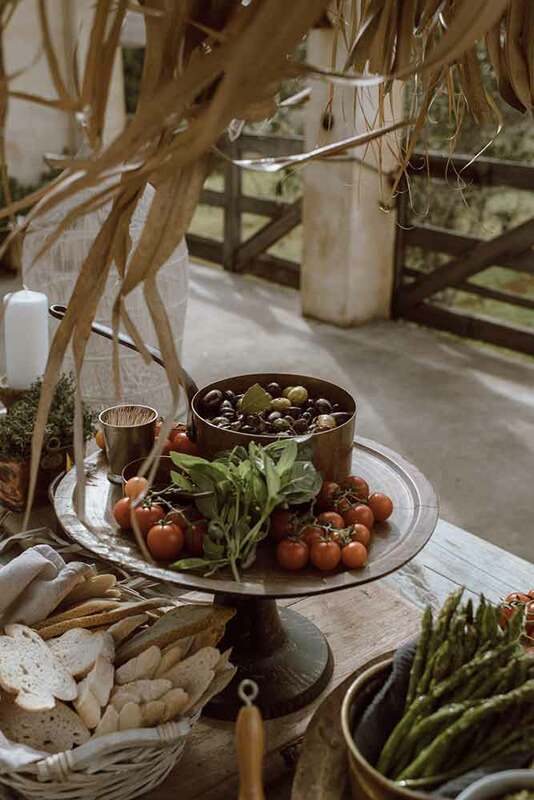 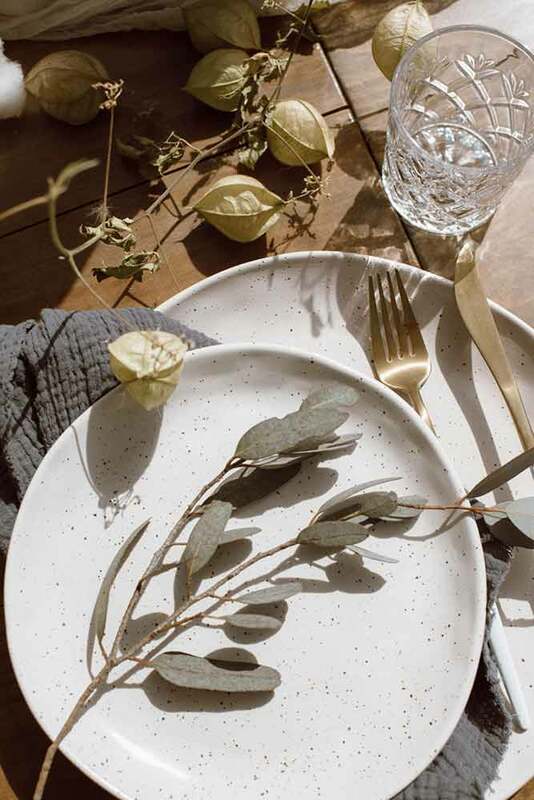 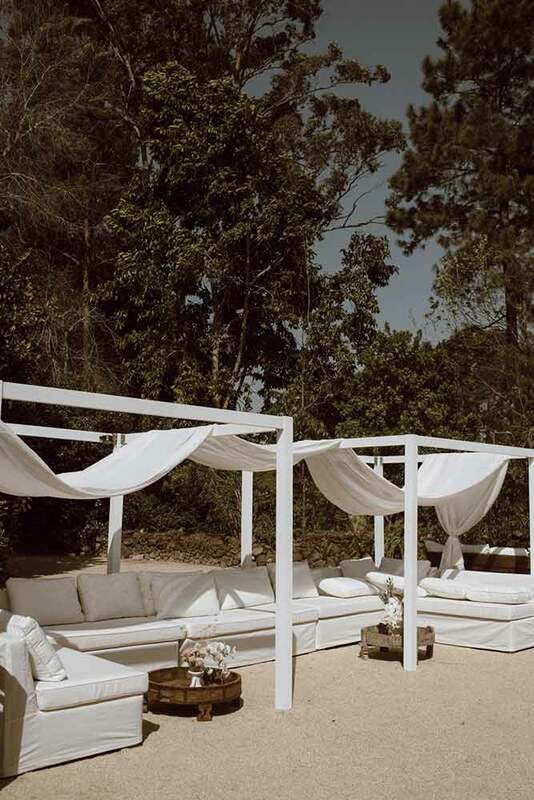 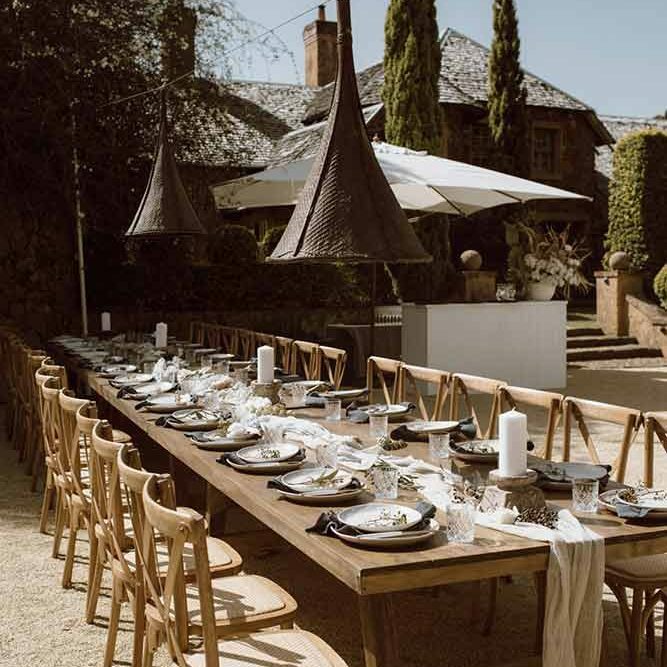 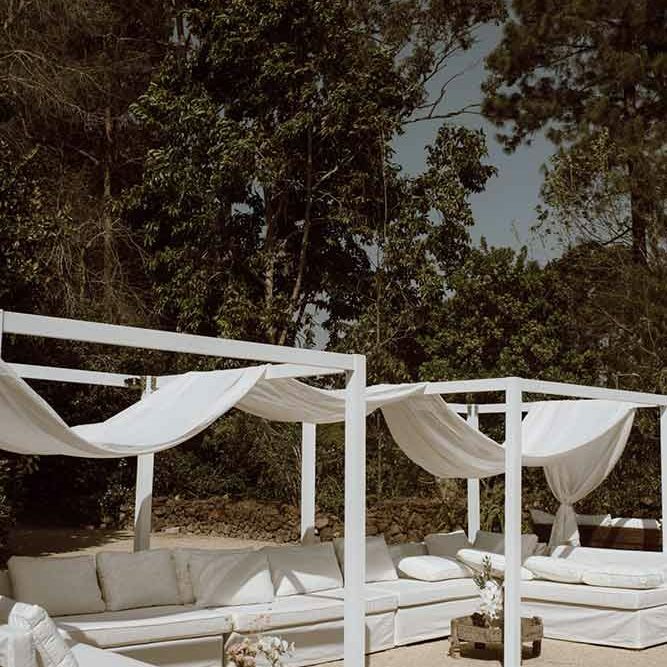 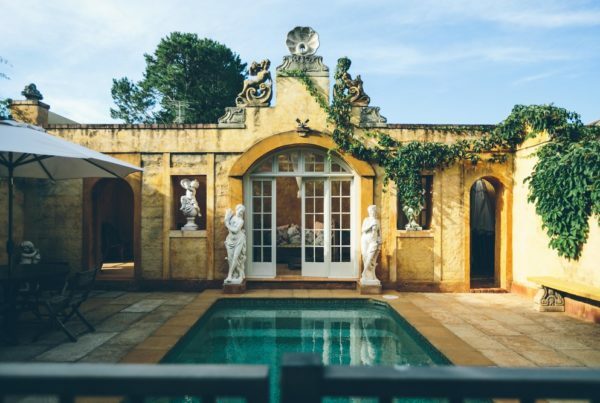 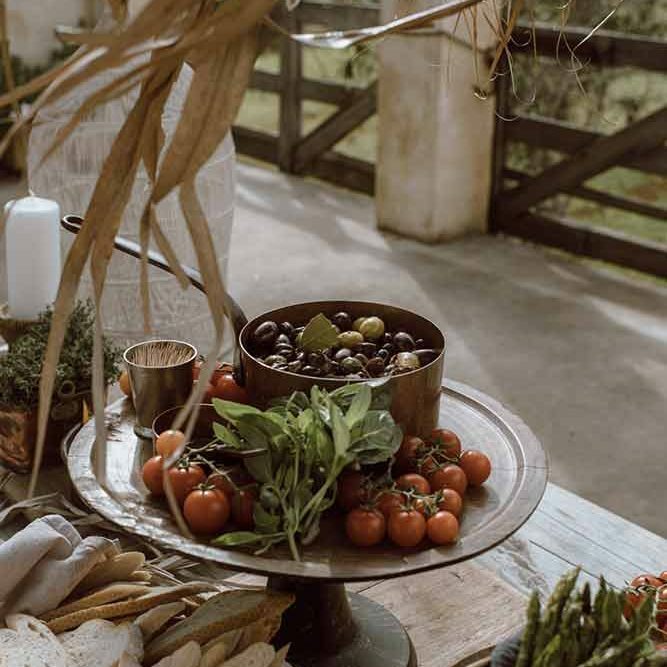 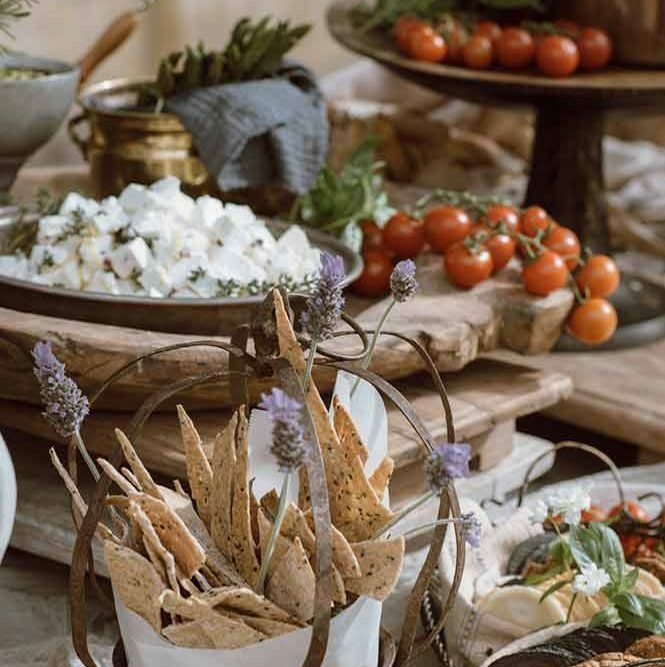 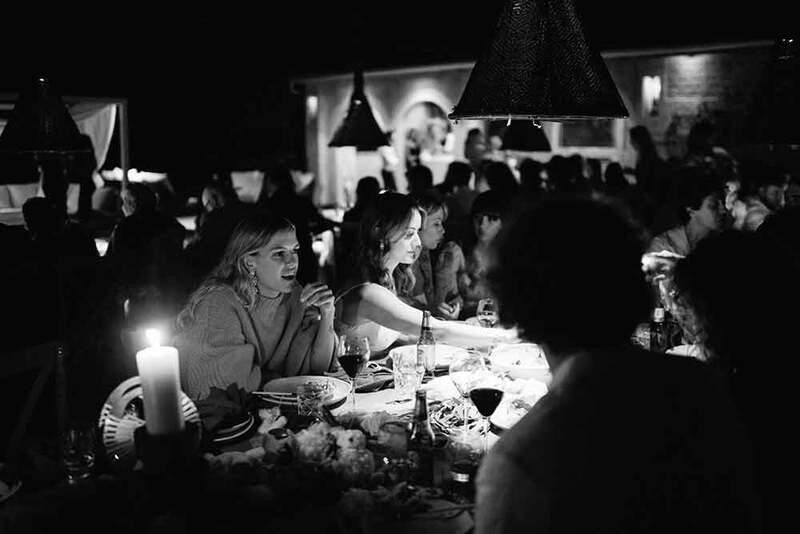 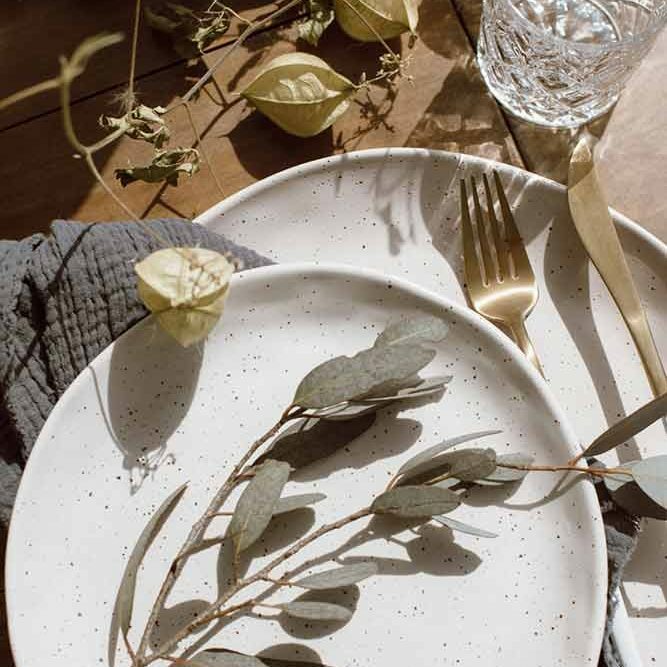 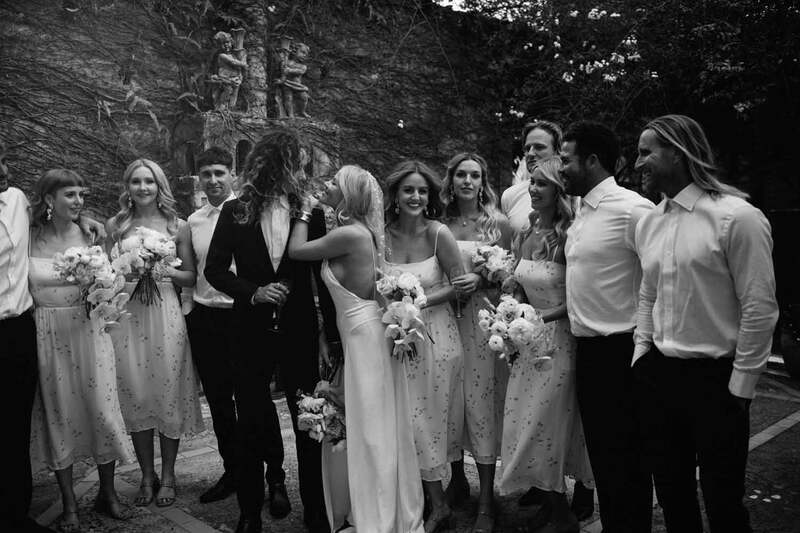 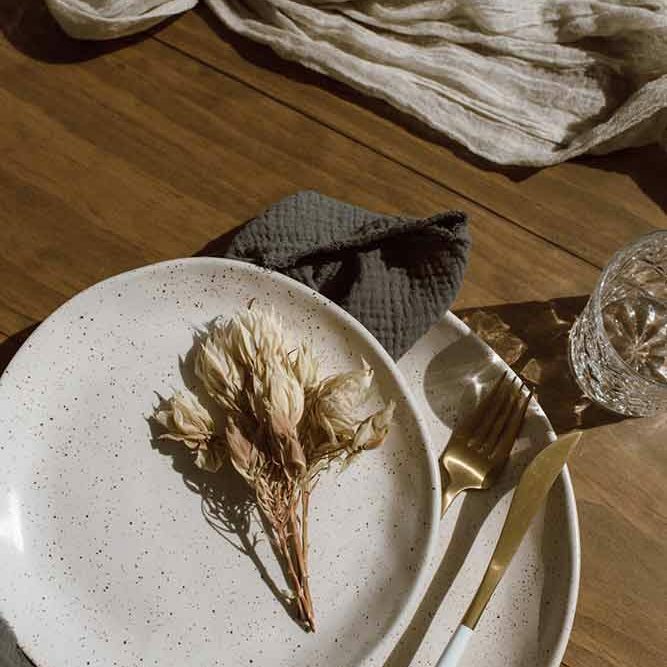 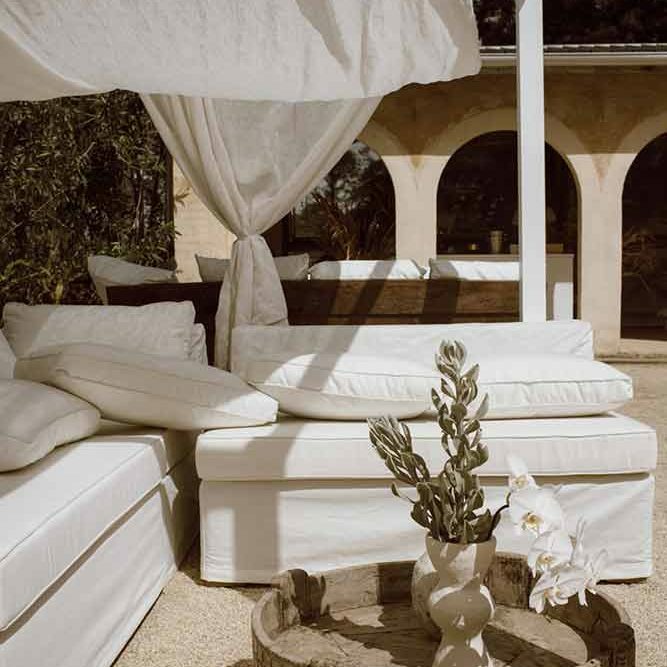 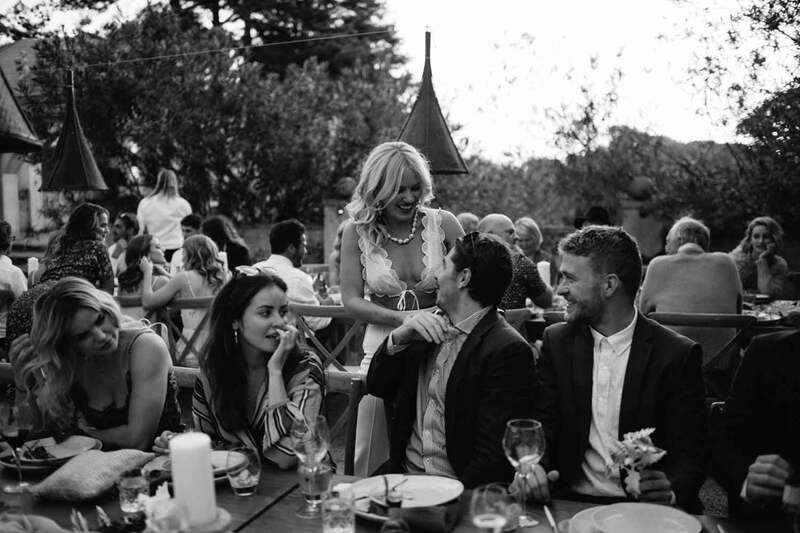 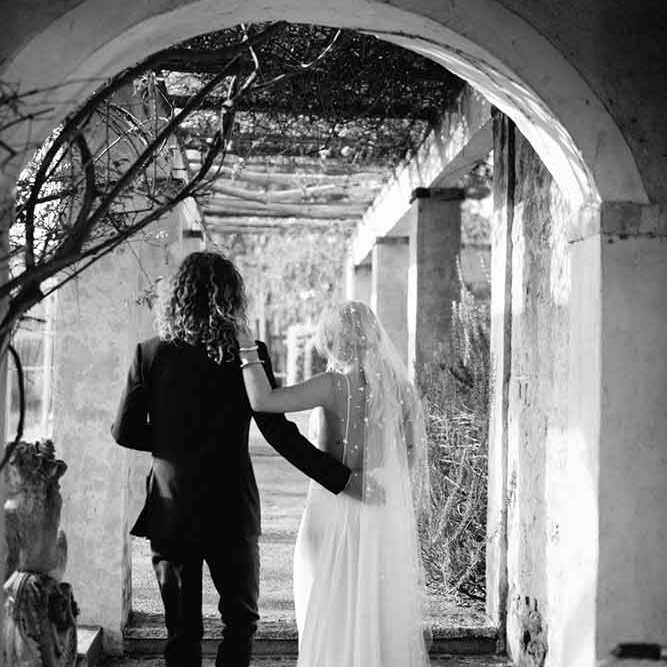 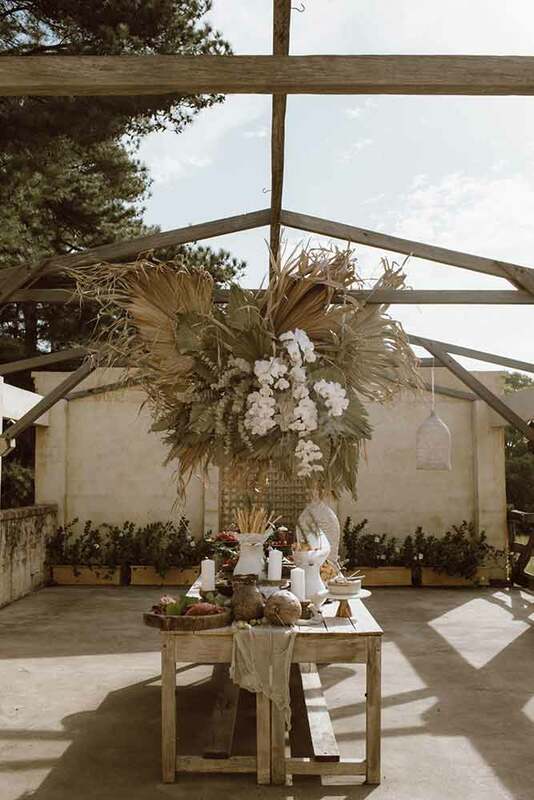 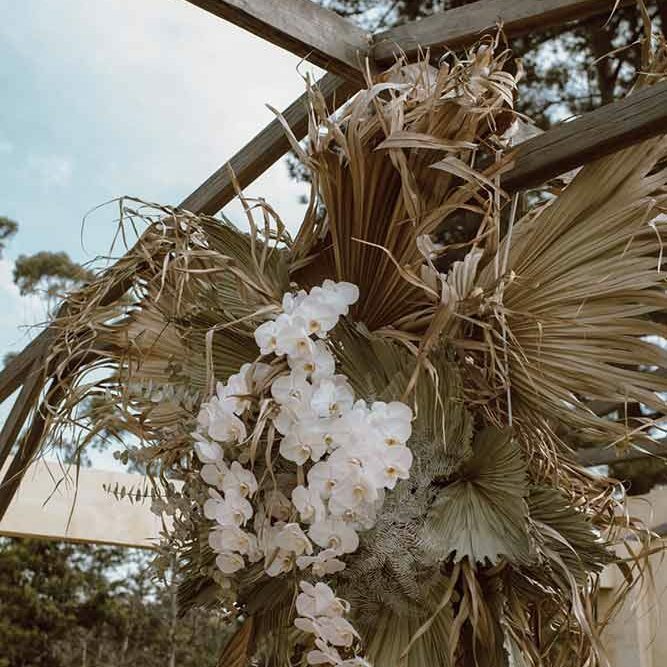 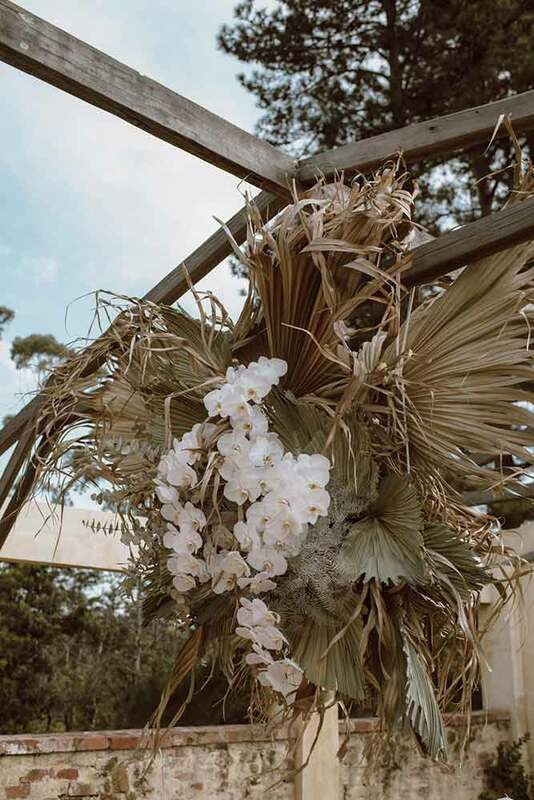 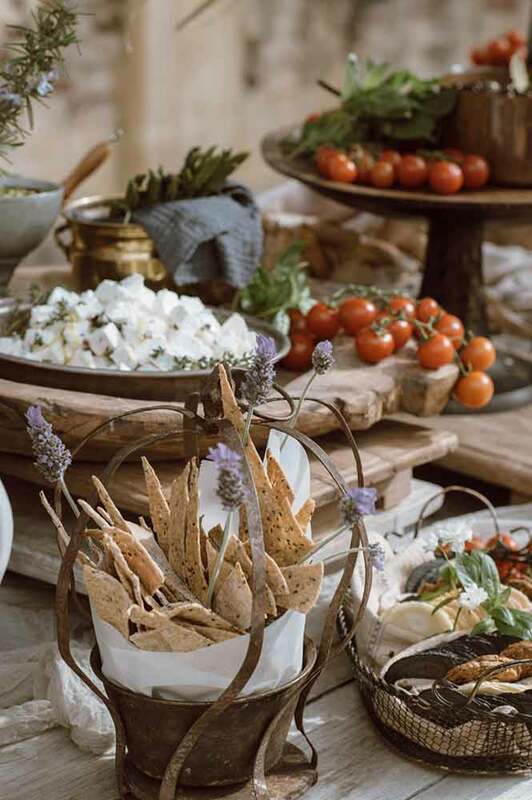 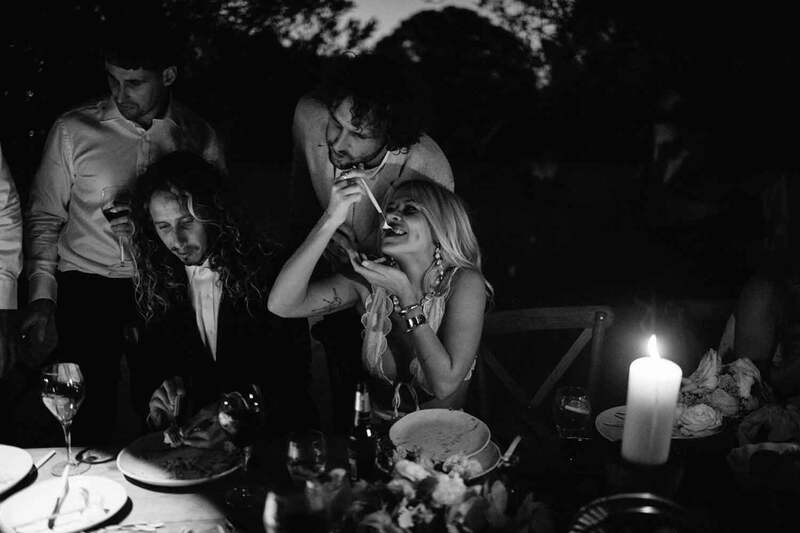 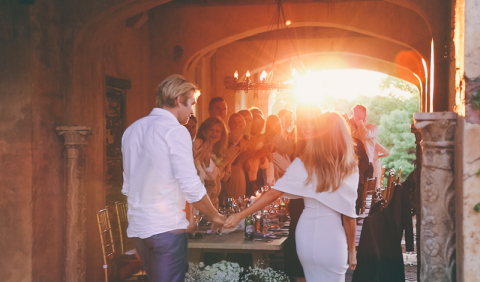 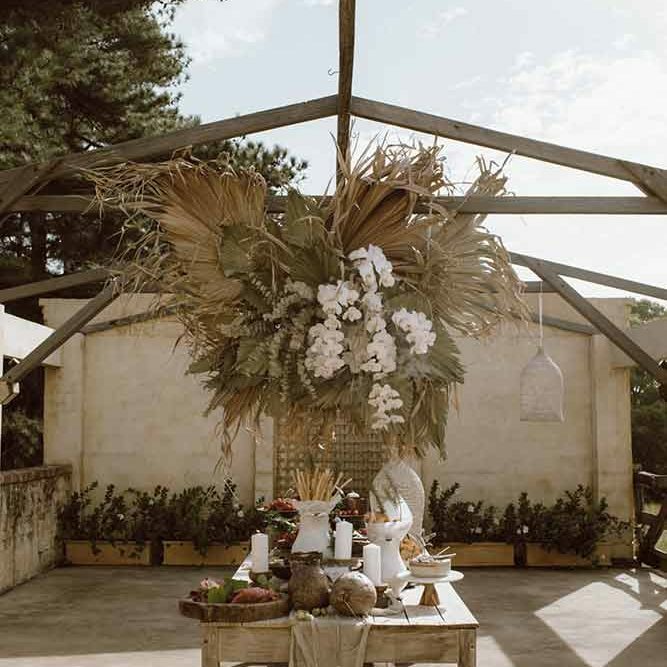 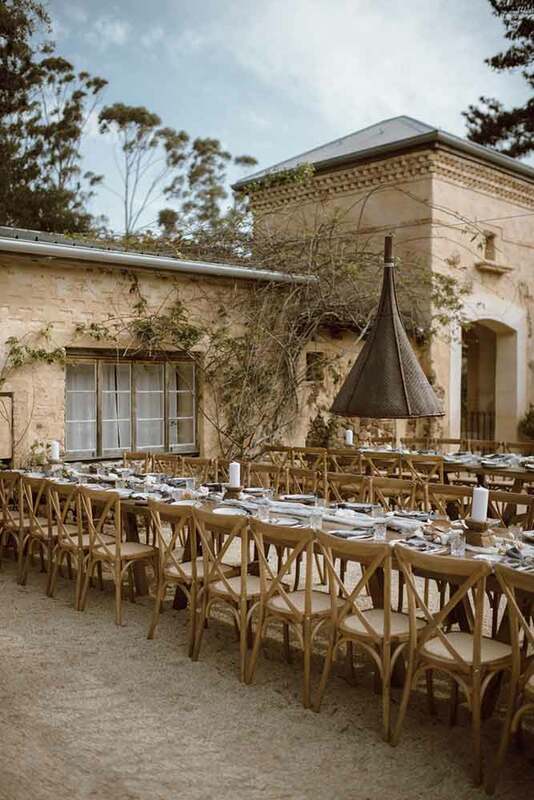 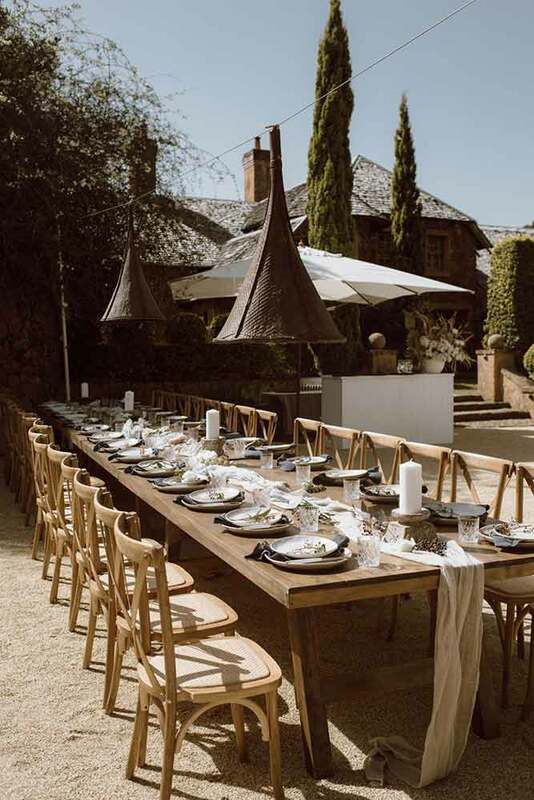 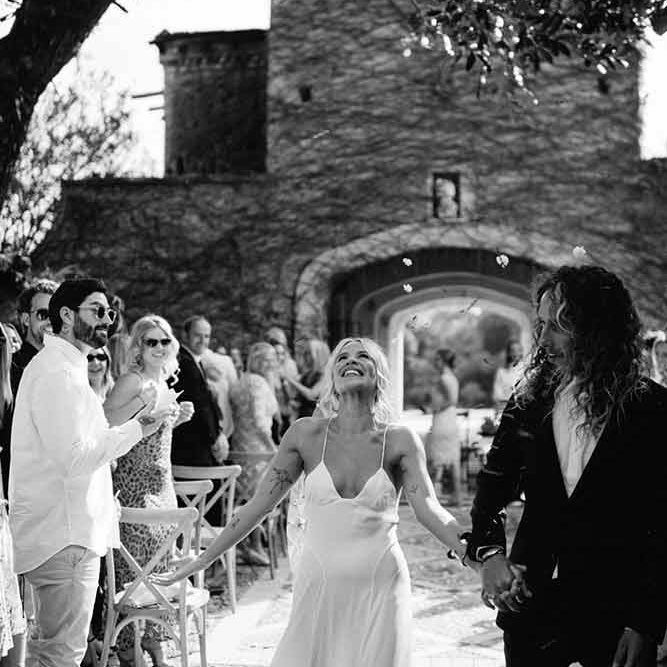 With large open outdoor spaces, surrounded by European-style architecture and gardens, an Italian styled wedding was created in the Byron Bay hinterland. 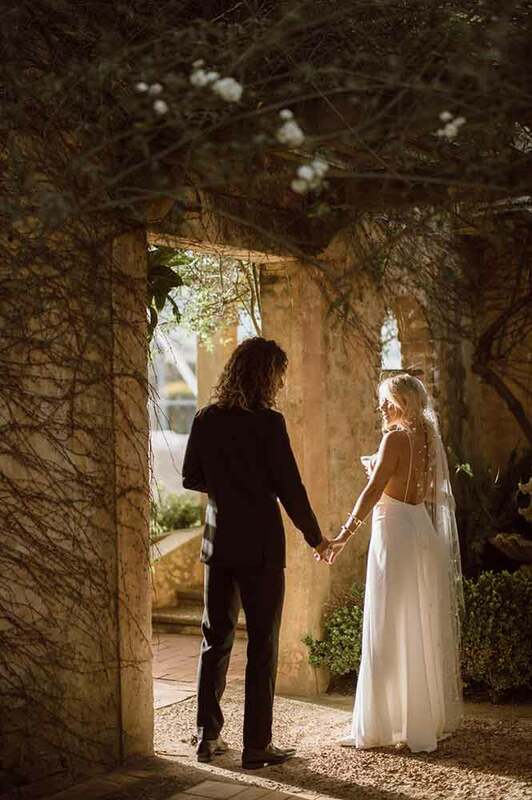 “ Inspired by European architecture and Italian landscapes, Emily and William’s wedding was an ode to adventures abroad, the extension of a life spent travelling the globe”. 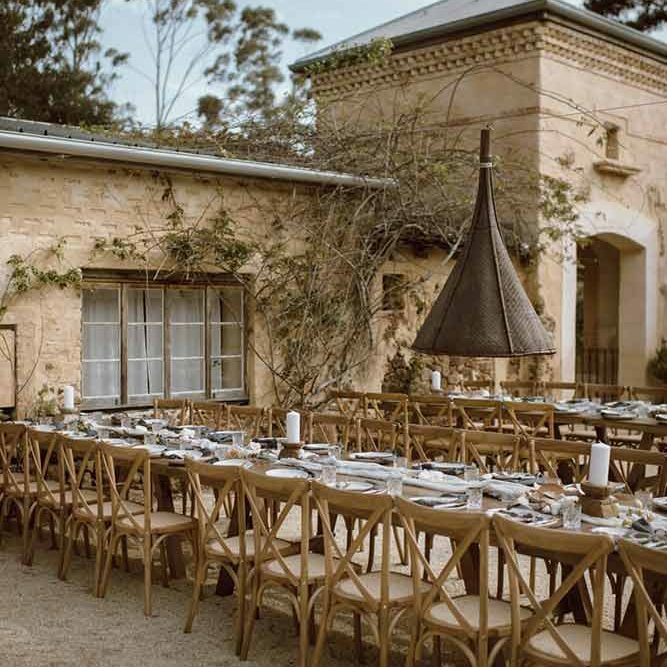 To find out more about Deux Belettes as a wedding venue, please see our weddings page or contact us for more info.